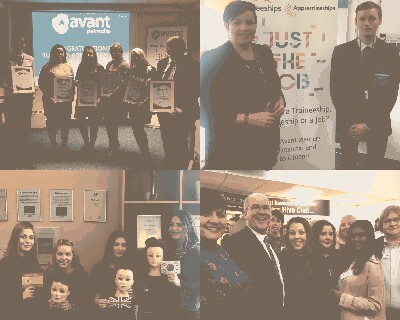 Avant brings together young people and employers for National Apprenticeship Week. 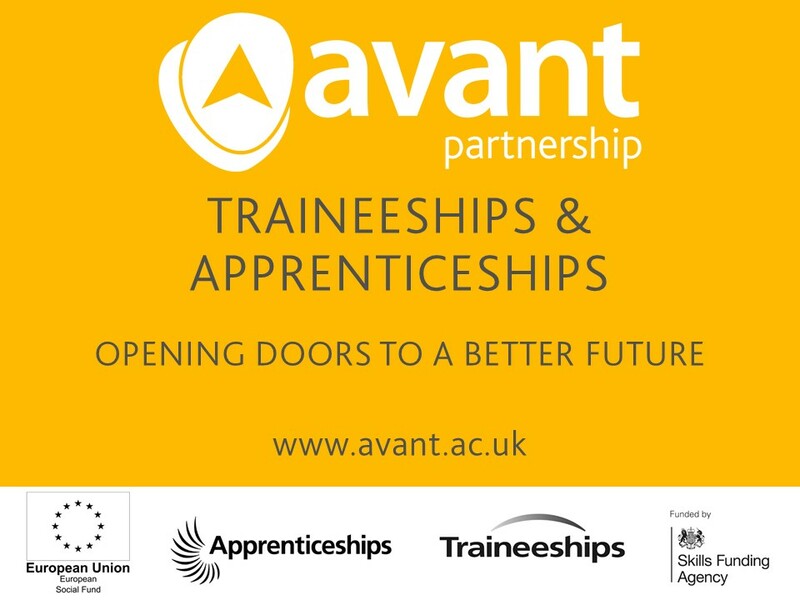 Avant’s promotion of National Apprenticeship Week brought together young people and employers, with activity taking place throughout the week to raise awareness of the benefits of Apprenticeships and showcasing their work. The week started off with our Level 2 Hairdressing Apprentices creating hairstyles from around the world, Korea, Spain, Japan and the United Kingdom, showing off the Apprentices progress to date on the programme. On Tuesday our Business Administration Apprentices Manesha and Abbie attended the Business Hive First Tuesday event, speaking to employers about their experience on the Apprenticeship. Wednesday saw Louise attending the Apprenticeship Event at the Job Centre, with one of our Traineeship Learners on his journey towards an Apprenticeship, speaking and meeting new people. Thursday, Learner and Employer Engagement team went to the career fair at Franklin Sixth-Form College to speak with young people about Apprenticeships. The week concluded with our first group of Level 2 Business Administration Apprentices successfully passing their Apprenticeship. They celebrated their achievements at our awards evening, with employers, family and friends.